Bonhams established a bridgehead in Scottsdale last year, landing at the attractive grounds of the Westin Kierland Resort and Spa just off Scottsdale Road near the airport. They returned in 2013, bigger than ever and with a succulent consignment that ran the gamut from dilapidated (but complete and very choice) antiques through massive Classics to Shelby Mustangs. Not a few were handsomely prepared and presented vintage race cars. Their location, in expansive tents placed on grass adjacent to the Westin’s valet parking lot, was the same as last year and proved that you don’t mess with a successful presentation. 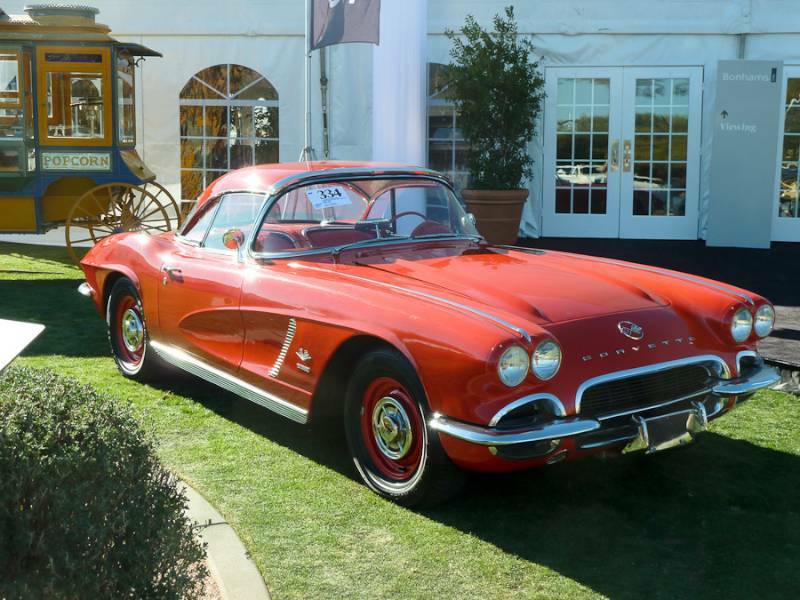 Most of the cars were previewed in the tents, but a number resided in the bright Arizona sunlight for an attractive contrast. How’d they do? With 112 lots (up 64% from the 68 lots last year) their sale total increased by a hundred and twenty-five percent to $13,455,950 from $5,967,559 a year ago. The sale rate reflected the general quality and interest of the cars, increasing from 64.7% to 82.1%. Bonhams continues to reinforce its position as the place to find, and to find buyers for, important unrestored cars. Their enthusiasm for them is evident not only in the cars’ cataloging and presentation but by the way they’re represented by Bonhams’ specialists on-site. 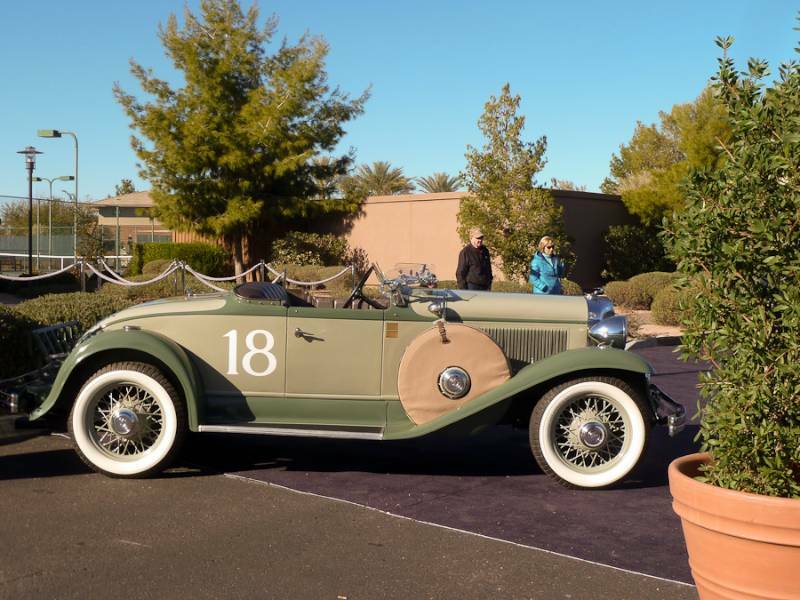 With the caliber of the cars offered and the dignified setting for the preview and the auction at the Kierland, Bonhams firmly established itself as a player to be reckoned with in the January Arizona auction scene in its second year. It’s a venue, and consignment, that has quickly established an important place among more established Arizona auctions. Lot # 302 1931 Chrysler CM-6 Sport Roadster; S/N 6532542; Engine # CM14224; Light Green, Olive fenders and accent/Brown leather; Beige cloth top; Estimate $60,000 – $80,000; Older restoration, 3 condition; Hammered Sold at $61,000 plus commission of 15.00%; Final Price $70,150. Dual cloth-covered sidemounts, folding windshield, dual aeroscreens, driving and fog lights, triple Zenith updraft carbs, 9:1 compression, Jaeger tach. — Martin Swig’s homage to the Le Mans Chryslers, regularly driven on the California Mille and in the Monterey Historics. A driver’s car with sound cosmetics but showing use and age. This Chrysler will be welcome in most desirable events both for what it is and for its connection with Martin Swig. The price is appropriate for the car, its history and its preparation but should not be extrapolated to other ’31 Chrysler CMs. 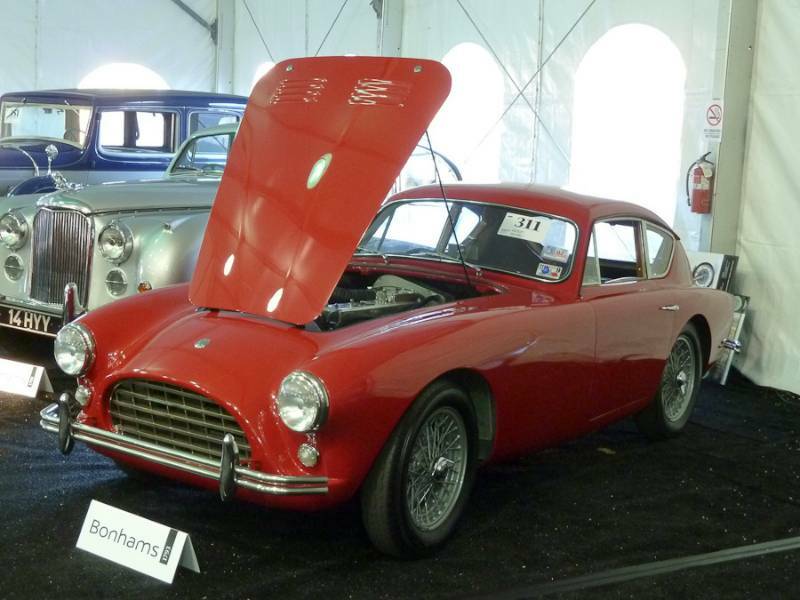 Lot # 311 1958 AC Aceca Coupe; S/N AE650; Engine # CL2350WT; Red/Beige leather, Blue piping; Estimate $85,000 – $100,000; Older restoration, 2- condition; Not sold at Hammer bid of $75,000. Silver painted wire wheels, Avon radial tires. — Restored like new a while ago, then lightly used and well maintained. Good paint and chrome. Seats show use and age with a pleasing patina. Underbody is nearly like new, engine is sharp and clean. Represented as matching numbers and as-delivered. This Aceca would look so much better in its original Bright Blue color, particularly with the blue piping on the seats. That doesn’t account for it falling short of reserve here, however, but rather an oversight on the part of the bidders, who should have been all over Bonhams after it crossed the block to negotiate a deal at or close to the reported high bid. 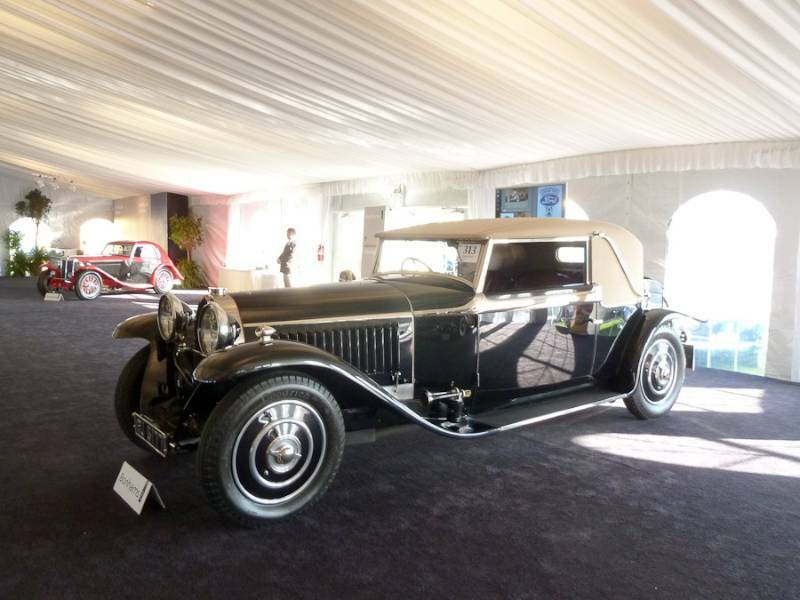 Lot # 313 1930 Bugatti Type 46 Faux Cabriolet, Body by Veth & Koon; S/N 46293; Engine # 157; Black/Cognac alligator; Beige cloth top; Estimate $900,000 – $1,200,000; Older restoration, 1- condition; Hammered Sold at $860,000 plus commission of 10.58%; Final Price $951,000. Body color wheel discs, dual rear spares, body color wheel discs, Marchal headlights, Stephen Grebel spotlight. — Delivered to Holland and bodied there by Veth & Koon with this coachwork. Stayed there until 2004 when it was restored by Alpine Eagle in the UK, completed in 2010 to very high standards at a cost of $550,000. Excellent paint, chrome and interior. Sharp (and very impressive) engine. Chassis is orderly but shows age. Best in Show at the BOC’s Prescott Hill Concours in 2011. Sold by Bonhams in Paris in 2011 for $859,188 (Euros 632,500 at the time; today’s price is Euros 712,000). While not the work of famed coachbuilder/designers, Veth & Koon of Arnhem did a superb job of adapting a d’Ieteren Freres design to the ‘Petite Royale’ chassis. The restoration is above reproach, as its show history indicates, and now shows only a little age and some evidence of use. It’s a showpiece Bugatti at an appropriate price. Lot # 332 1968 Ferrari 330 GTS Spider; S/N 11021; Engine # 9823; Red/Red, Black leather; Black cloth top; Estimate $650,000 – $900,000; Older restoration, 3+ condition; Hammered Sold at $825,000 plus commission of 10.61%; Final Price $912,500. Chrome spoke Borranis wire wheels, Michelin XWX tires, stick-on SF shields, P/W. — Good paint, thin trim chrome, good interior, but gaudy colors. Tidy underbody. A good driver. 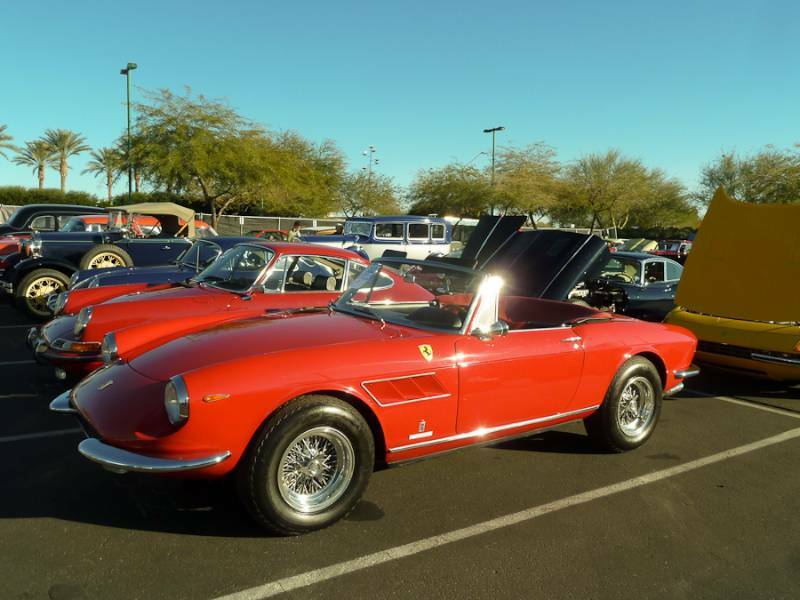 Ex-Gene Ponder, which accounts for its garish livery, one of several cars in Arizona this week that traced their ownership history through Ponder and RM’s 2007 auction of his collection where this 330 GTS brought $418,000 with 5,400 fewer km showing on the odometer. This result is indicative of the 330 GTS value trend over the past six years, and might even be a bit of a bargain, with room for the new owner to de-Ponder the interior for something more restrained. Lot # 334 1962 Chevrolet Corvette FI Convertible; S/N 20867S106224; Engine # 2196224F0II8RF; Red/Red vinyl; Estimate $80,000 – $100,000; Older restoration, 3 condition; Hammered Sold at $75,000 plus commission of 15.00%; Final Price $86,250. No Reserve. 327/360hp, 4-speed, Positraction, WonderBar radio, hardtop only, steel wheels with hubcaps and blackwall tires. — Once owned by David E. Davis, thoroughly restored by a later owner and well maintained since. Paint and interior are good, underhood shows age. Looks the part of a serious Fuelie Vette. Sold by RM at Meadow Brook in 2008 for $69,300, then by Gooding at Amelia in 2010 for $79,200 with some subsequent mechanical work. This result is appropriate for the car, its history and its condition. 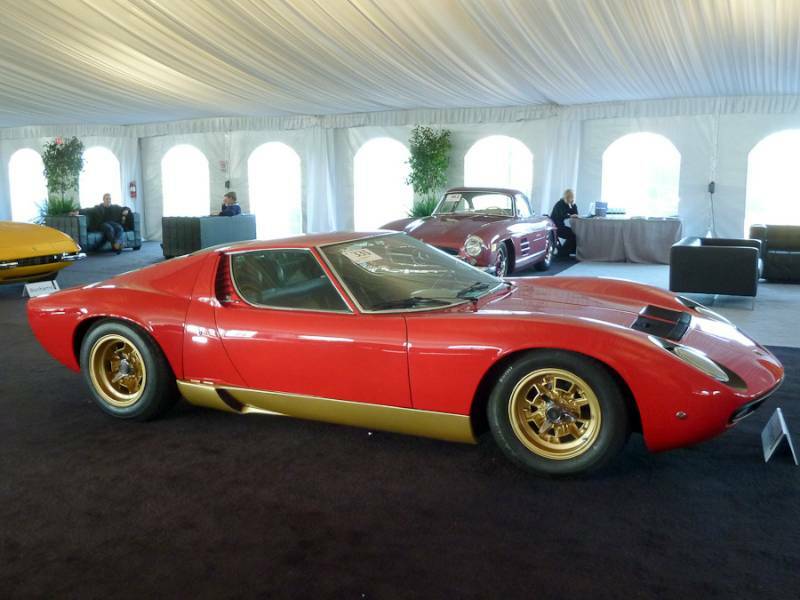 Lot # 335 1972 Lamborghini Miura SV, Body by Bertone; S/N 5012; Engine # 30708; Red, Gold sills and wheels/Blue leather; Estimate $900,000 – $1,100,000; Visually maintained, largely original, 3 condition; Hammered Sold at $1,100,000 plus commission of 10.45%; Final Price $1,215,000. P/W. — Good repaint, otherwise clean and original. Upholstery scuffed. Underbody and chassis original. Freshly serviced at Motion Products. Sold by Christie’s in Monterey in 2006 for $477,000 in the same condition in which it is seen here except for the recent mechanical service. Today’s price is what’s happened to Miuras recently but even at that this is a sound value for a factory-built SV. 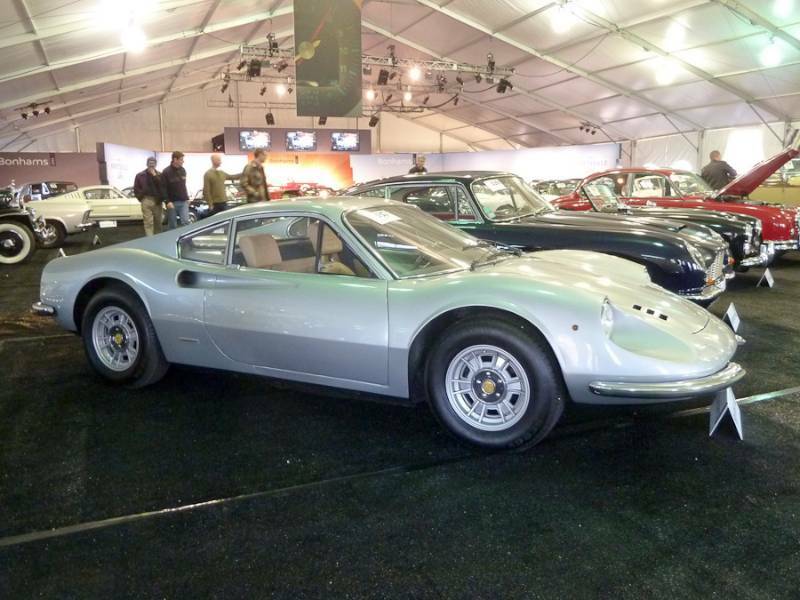 Lot # 337 1971 Ferrari 246 GT Dino Coupe; S/N 2828; Silver/Beige leather; Estimate $140,000 – $180,000; Visually maintained, largely original, 3 condition; Hammered Sold at $160,000 plus commission of 13.13%; Final Price $181,000. No Reserve. Cromodora alloy wheels, Michelin MXV blackwall tires, cassette stereo. — Mediocre old repaint, worn original upholstery. Tidy, orderly engine and chassis. An honest used car from the Oldenburg Collection. With Dino values heading into the stratosphere this sound, if little used in recent years, coupe is a representative value with the potential to be used with less concern than would be engendered at GTS prices. Although the report is several years removed from the auction I came across it and read with interest. I have enjoyed your insight and knowledge base but feel compelled to comment on your statement regarding the former Gene Ponder Ferrari. The “garish livery” and “dePonder” remarks I felt uncalled for and seemed personal in nature. Mr.Ponder is one of the good guys in the collector world and always has been generous with his time to show anyone with an interest in viewing his collection. I have been with him on several occasions at auctions and events and he has always been an absolute gentleman. On more than one occasion he allowed me to drive one of his cars he had just purchased and had not driven yet to his home while following me, letting me experience something that I would never have otherwise. While not sure of the garish nature of the livery or otherwise I can attest to him as a person and know there there need to be more like Gene and hope you “rePonder” comments made in reference to his personal preference and taste. I know that personally I would enjoy the read and your feel for the state of the market accurate and informative as it is even more.